Java Klenz cleans coffee decanters like a charm. Use it for removing calcium deposits and stains from coffee cups. 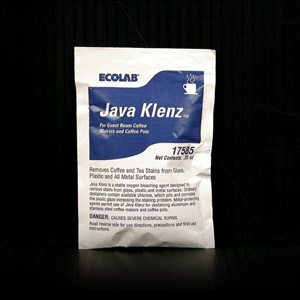 Add Java Klenz to water and leave in the decanter overnight for scrub-free cleaning.